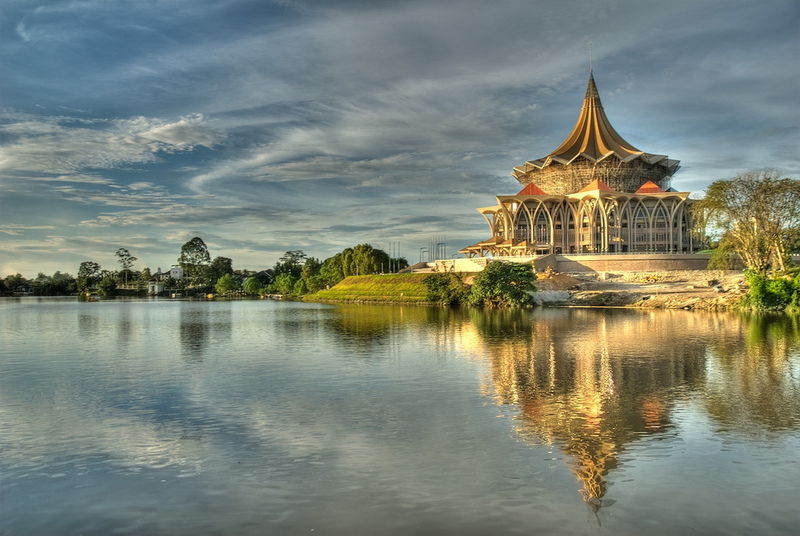 Kuching is the perfect base for exploring the rainforest-covered state of Sarawak in Malaysian Borneo, but is also a fascinating, vibrant city to explore in its own right. Both Buddhism and Islam co-exist here, a fact that has seen the construction of many stunning temples and mosques. Don’t miss Tua Pek Kong Temple – the oldest Chinese temple – or the striking Kuching City Mosque, an intriguing mix of mid-western and Italian architecture. Translated literally as ‘palace’, this stunning building was built by Charles Brooke – the former governor of Sarawak – for his bride. 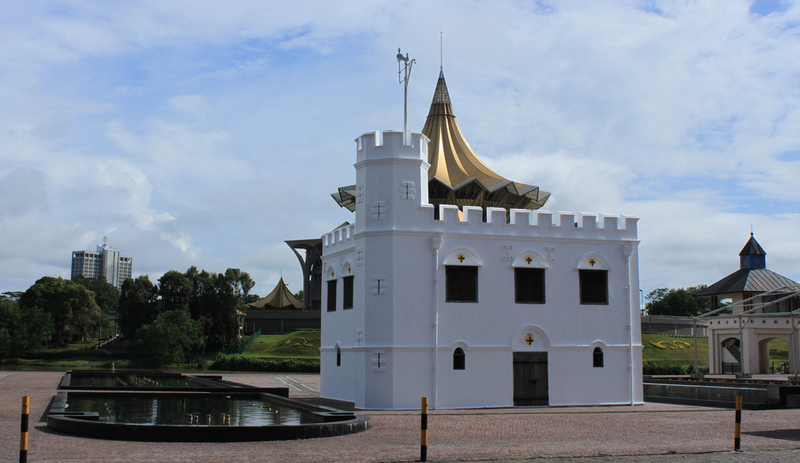 It’s an ideal place to learn about the ‘White Rajahs’ who once ruled Sarawak. Don’t miss the Orchid Garden. Kuching Waterfront is a must – and the perfect spot to enjoy a quintessential South East Asian sunset. Here you’ll also see how the rich Kuchingnites live (property prices here are astronomical), and as such, you can expect to pay a lot more in the restaurants by the water. It is also a popular spot for young lovers. For museum lovers there is plenty to absorb in Kuching. Try the Sarawak Museum, The Chinese Museum, the Cat Museum (Kuching means ‘cat’ in Malaysian, so feline memorabilia is very popular here) or even the Timber Museum! If you’re looking for a beautiful gift for loved ones back home, Kuching offers a dazzling array of locally made handicrafts and fabrics. Delicious Malay and Chinese food is found everywhere in Kuching – and eating out a major pastime. If you buy fish from a stall, however, be sure it is heated thoroughly, as your stomach may not be as resilient as those of the locals! Visiting the Sunday Market is essential if you want to see just how much produce comes out of Sarawak: find colourful displays of fruit, vegetables, fish and honey, alongside such items as potted plants and even pets. If you want to get close – but not too close – to some crocs, head along to Jong’s Crocodile Farm, where feeding time is an unforgettable sight. Tourists often use Kuching as a springboard for one of the many jungle trekking experiences available further east. Sarawak boasts some of the most unspoilt rainforest in the world, where orangutans and a host of exotic creatures can be viewed in their natural surroundings. 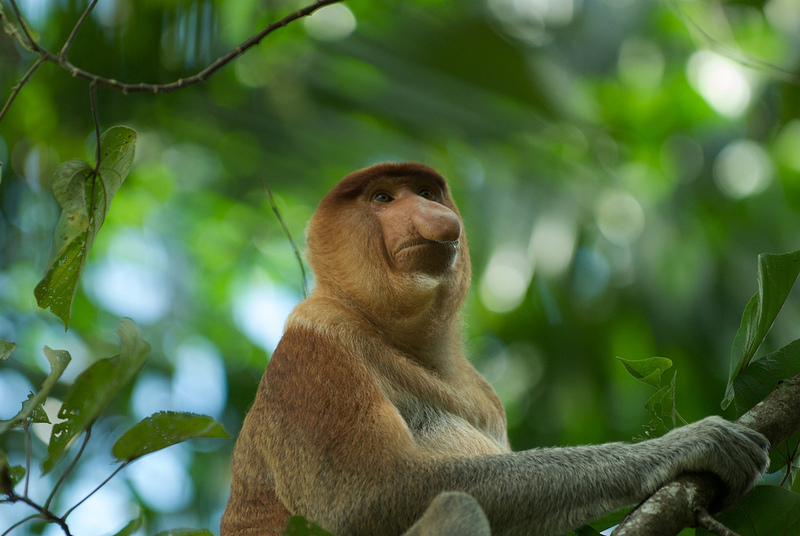 Bako National Park is nearest Kuching, offering steamy mangrove forests and lots of proboscis monkeys. There are options for all budgets in Kuching, from hostel dormitories (RM20) to mid-range hotels (around RM90) and of course the usual array of top-end establishments asking for around RM300. However, low season can bring some real bargains, even in the most expensive hotels. While Malay and Mandarin are widely spoken in Kuching and Sarawak, most Kuchingnites take English as a second language, so being understood here is usually straightforward. Intrigued by this unique rainforest citadel? It’s the ideal place to spend a few days before embarking on jungle adventures in the east of Sarawak – and is easy to get to from the UK. Most flights from London go through Singapore or Kuala Lumpur and usually take from 17 to 20 hours. This entry was posted in Longstay Travel Insurance, Single Trip Travel Insurance, The places we've been, Travel Advice on June 12, 2014 by worldwideinsure.